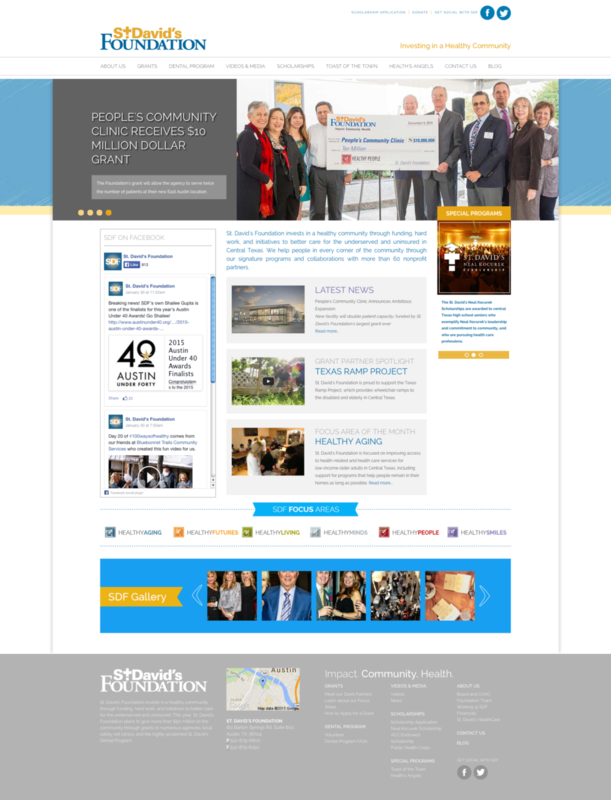 Working in conjunction with Go9Media in Austin, TX, AGC was tasked to create the design for the new St. Davids Foundation site. The site was developed on the Joomla platform and implemented by Go9. Art direction and user trouble shooting were additional elements that AGC assisted with during the development process.